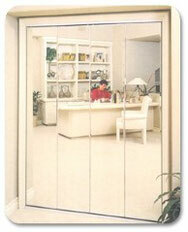 Brighten and enlarge your living areas by using mirror doors. Are you thinking of remodeling or redecorating your home or office? 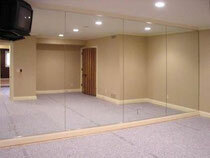 Consider investing some of your time investigating the benefits of room expanding mirrors. 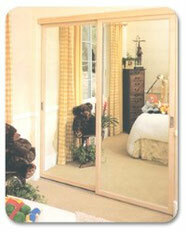 Our team of experts can show you how mirrors not only add beauty but also provide the appearance of a larger area. We have a large selection of options for you to choose from including clear, tinted, or beveled edge mirrors with a wide range of decorative metal and glass trims. You can even easily create your own personal health club! Install mirrors similar to the mirrors at you favorite Spa or health club and pursue your resolution in the convenience of your own home.